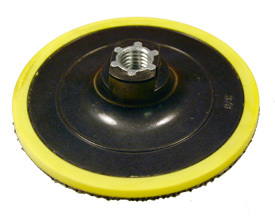 These pads are designed to hold all brands of hook and loop style surface conditioning (SCD) disc. They are not for use with paper type Velcro back discs. They have an extra-long Gripper T hook to properly hold SCD discs.